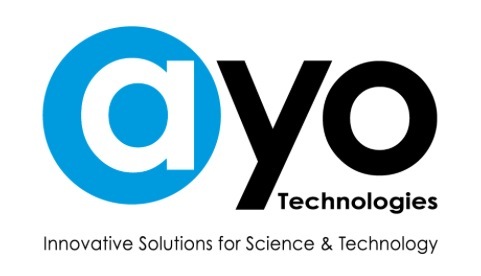 BEEM® Embedding Molds and Products – AYO Technologies Inc.
BEEM® products are known and used in the world’s finest microscopy and histology laboratories because of their high quality and unsurpassed reliability. Started in the early 1960’s by Stanley Brown and Al Revizin, early pioneers in the then emerging field of (then transmission) electron microscopy in the Bronx, NY USA, and even after the passing of this much time, it still operates as a premier manufacturer of microscopy and histology products. The BEEM® name is perhaps one of the very strongest and best known “brands” in all of microscopy and microanalysis. These precision molded embedding capsules make uniform, pre-shaped blocks. It is universally agreed that this type of capsule is easier to handle than round-bottomed gelatin capsules. 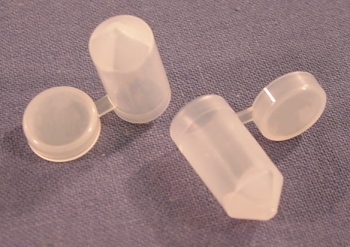 All BEEM® capsules come with a hinged cap which also doubles as a flat mold. Constructed of a special grade of polyethylene which gives outstanding release characteristics it will also tend to not stick to the plastic block. Customers will also find that if they are not using a BEEM Capsule Press, they are probably going to be cutting the capsule off of the embedment with a razor blade and the plastic of BEEM capsules has been selected such that it will cut away far easier and faster than from any other similar kind of capsule. Be aware of the new Easy Mold™ which is reusable and is also stackable and usable for anaerobic embedding applications. If you see BEEM® on the capsule cap, you can be sure you are using the world’s very finest microscopy and histology embedding capsule. When curing BEEM capsules, take advantage of the special BEEM capsule holders available in two different sizes and also, an opaque and also UV transparent form. This mold produces a 1×1 mm face at the distal tip of the capsule for easy facing off procedures. The hinged cap offers a convenient means of carrying out polymerizations where oxygen must be excluded. This mold produces blocks with a pyramidal tip. The hinged cap offers a convenient means of carrying out polymerizations where oxygen must be excluded. This capsule makes a block that is 7.9 mm OD x 18 mm high. The attached hinged cap permits the convenient polymerization of resin systems for which oxygen must be excluded. Useful for preparing small or extremely thin, elongated pieces of tissue. (Use care when filling to avoid air entrapment in the tips.) Size 00 Large, 8mm I.D. This capsule makes a block that is 8 mm ID x 18 mm high. The attached hinged cap permits the convenient polymerization of resin systems for which oxygen must be excluded such as L. R. White resin.